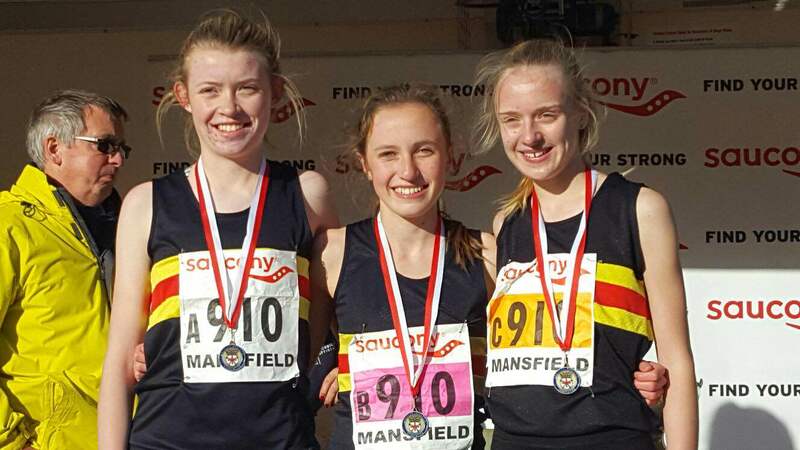 With most eyes turned to Rio at the weekend, a group of Walton athletes were winning medals galore at the South of England age group champs. 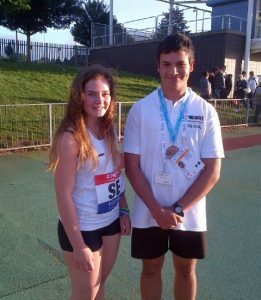 Sam Bishop leapt a PB of 5.91m to win the U15 long jump, and Sam Mace threw the discus 45.00m to win the U17 event. Mace had a great weekend, also throwing the hammer to a PB distance of 60.05m to take silver. Also taking silver was Charlotte Vaughan, running 2:18.01 in the 800m. 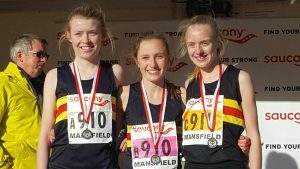 She was joined in the final by Emma Horsey, who missed out on the bronze by less than 5 hundredths, running a PB of 2:18.24. Tait Jones threw the discus 38.48m to take bronze in the U17 event. There was also a PB for Ben Marks in the U15 1500, 4:19.85 to come 4th in the final. Full results are below- a fantastic set of races, jumps and throws- huge well done to all of you. Good Luck to all those competing at National Championships at the end of the month who have already had to achieve a qualifying standard to enter: Nicola Bell U17 Javelin, Sam Bishop U15 LJ/300m, Emma Horsey U15 800m, Tait Jones U17 Discus, Sam Mace U17 Discus/Hammer, Ben Marks U15 3000m, Rachel Pharaoh U15 1500m.